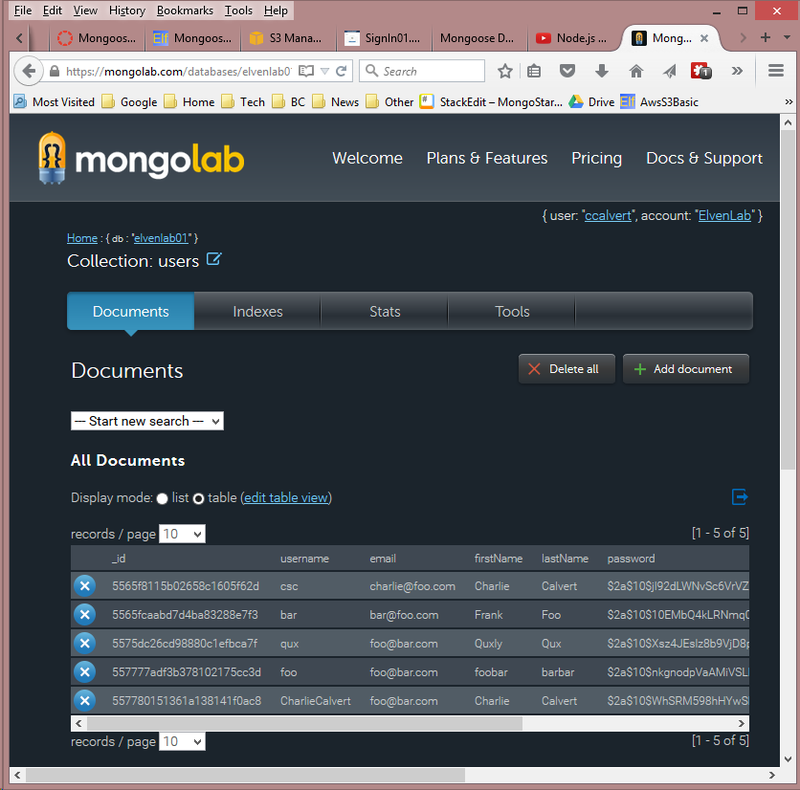 A collection for your users in MongoLab. If you don't have an account create one. The code also encrypts and validates user names and passwords. The above command creates a local project folder called models and copies the user.js file into it. Issue this command only once, otherwise you will end up with nested folders. Set up Passport. Also setup the MongoDb database for storing the user name. To accomplish these tasks We will use three libraries called express-session, Mongoose and Passport, all of which should already be in AllInclusive. In app.js, about line 8. 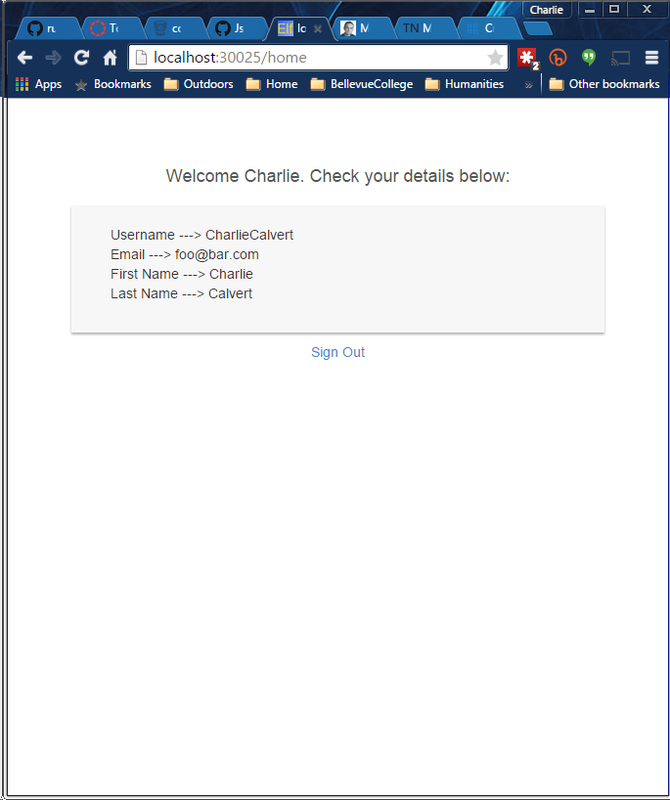 Set up the routes for logging in and signing up. Be careful with the next command, as it will overwrite your existing index.js file. Since this is a new project, the command should not cause any harm. However, if you are working with an existing project, and have already modified routes/index.js, then open $ELF_TEMPLATES/SignIn/routes/index.js in an editor, and selectively copy in the contents of the file, or use the method described below in the alternative login. 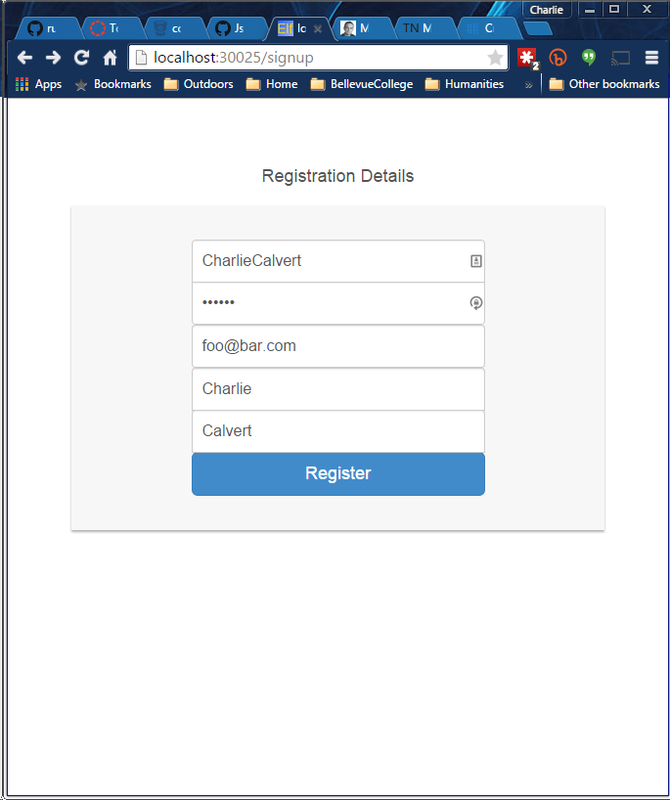 Here we use the isauthenticated middleware to test if we are logged in. 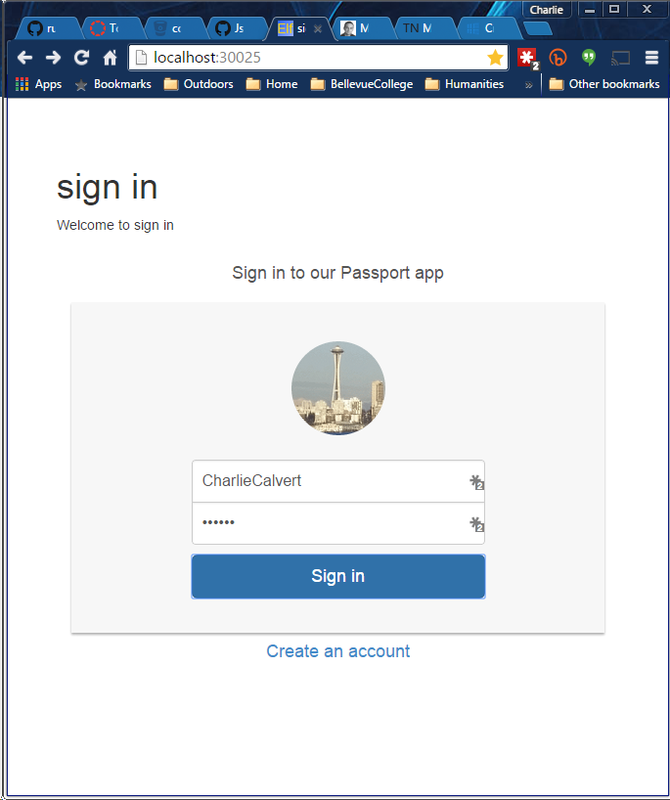 If we are logged in, go to the designated page, otherwise go to the login page. Use this same middleware for all the calls you make from the client. That way you can be sure the user is logged in before allowing them to view a page. Also check in your code in Week10-MongooseSignIn or some similar name beginning with Week10. If there might be any question at all as to where I would find your code, please include the folder name when you submit the assignment. In MongoLab you should be able to see the Users table where your users are stored. Before running the following command, be sure to check that your copy of routes/index.js does not contain important code. If it does, then copy all the routes from that file into another file and replace your old index.js with the one from $ELF_TEMPLATES. More in the section on the alternative login. You will need to do StepThree above manually.